Starting in September of 2013 and concluding in August 2014 we recorded 35 shows as the Principalcast Podcast. Each of the podcasts were focused on how educators can learn from each other, and share ideas. Thanks to Jeffrey Bradbury at Teachercast for producing our 1st Season of podcasting. You can download all episodes of the PrincipalCast on iTunes. Interested in accessing these podcasts? Episode 7 Being a Principal is the Best Job in the World! Episode 12 Sledding Down the Mountain of December: It's the Most Busiest Time of the Year! Episode 15 Stay Organized with Evernote! Episode 17 What is Disciplinary Literacy? 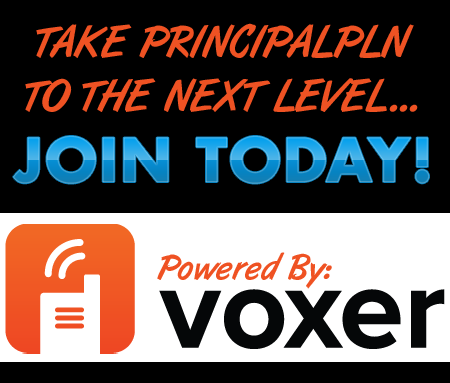 Episode 21 What Does it Take to Be a Before and After School Principal? Episode 22 Conferences and Learning Whether You're There or Not!